Not long ago my husband and I would come out of the grocery store frustrated. I would wonder how we managed to spend over $100 for what seemed like very little. There wasn’t a lot of junk food or convenience food in our cart, and often there would be little meat. So how the heck did we manage to spend so much? And why were we back in the grocery store just a few days later picking up odds and ends? Rising Prices or Poor Planning? My husband would always have the same answer-prices keep going up. And coupons didn’t help either since I tend to buy mostly generic and when I did use coupons it seemed I only bought certain items because I had a coupon. I am not knocking coupons. I do use them when I have them and I know you can save an incredible amount of money when pairing coupons with sales. I even talk a little about my extreme coupon experience on here: how to stretch your food budget. 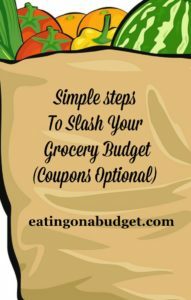 I do use coupons on occasion but if you are like me and just looking for ways to really slash your grocery bill with or without coupons then here is what works for us! And if you can make this work for you then pairing coupons with sale items will increase your savings even more! Before we get started I want to make it clear that this may seem like a lot of work but trust me, once you get used to it, you will be shopping much more efficiently. And even if you go to more than one grocery store like I do you will still spend less time shopping! We are a family of three plus one dog. Not a huge family but one is a teenager (and we all know how teenagers like to eat). My son is also homeschooled so he is home for all three meals. I also come from a large family so it isn’t uncommon to have family members drop in for dinner a couple times a week. In other words, I cook a lot and often for a lot of people. How much do we spend? Until recently we were spending about $150 a week. And this does not even factor in the fact that we were eating out or ordering takeout once or twice a week. My challenge was to cut our grocery bill in half and save dinners out for an occasional treat (and yes, eating out is one time that I definitely use coupons). At first the idea of trying to cut back on groceries while still eating well seemed daunting, but I can honestly say, I have perfected the art of slashing the grocery budget in half. 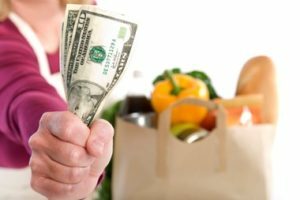 Below are six steps for saving money on groceries without coupons that is working quite well for us. And believe it or not, it’s also kind of fun to watch those savings add up! 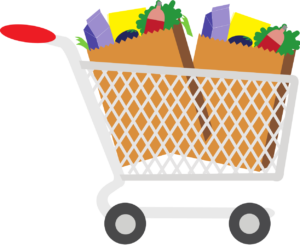 Before you plan your grocery trip you will want to take inventory and see what you have plenty of, what you are almost out of and what you can hold off on until it’s on sale again. 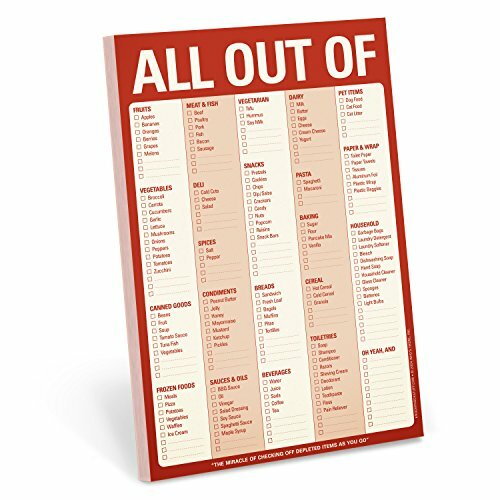 You are going to want to plan your menus around either what’s on sale or what you already have, but if you do need something that isn’t on sale then try to get the best price possible, either generic, or in bulk (more on buying in bulk below). It also helps to have a list on the fridge so family members jot down what you are low on. Getting family involved in this process as well as menu planning will make it much easier to get everyone on board. Next, you want to check out the sales in the store flyer or online. This will give you some ideas for meals and also let you pick up other necessities that you are running low on. 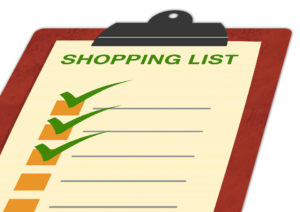 You wont be making your list just yet, just jot down the good deals for step 3. Also make sure you check the sales for a few different stores that you like to frequent. Wegmans and Aldi are always my go-to stores but there are a few others nearby that have good buys as well. I don’t shop at other stores often but once in a while I see a deal that I just can’t pass up. I also shop at Sam’s Club for bulk items, but Wegmans also has a wide variety of items in bulk as well. So if I can’t get to Sam’s, I can usually find what I am looking for at Wegmans. I can’t even stress how huge this one is and how much it has helped us stay within our grocery budget. And the nice thing about menu planning is you can be flexible. For example, if you have a big, time consuming meal planned on a day that something suddenly came up you can easily swap it out for another day when you had something quick planned. 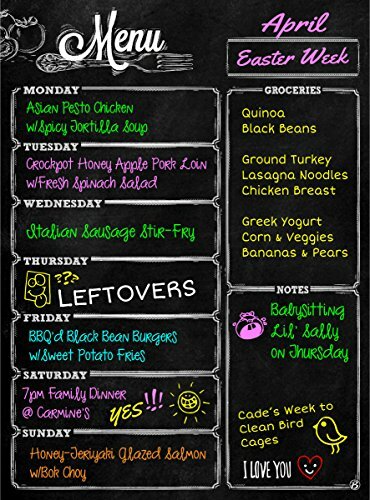 If you tend to do your grocery shopping less often, like every two weeks then you can even plan two weeks worth of menus. 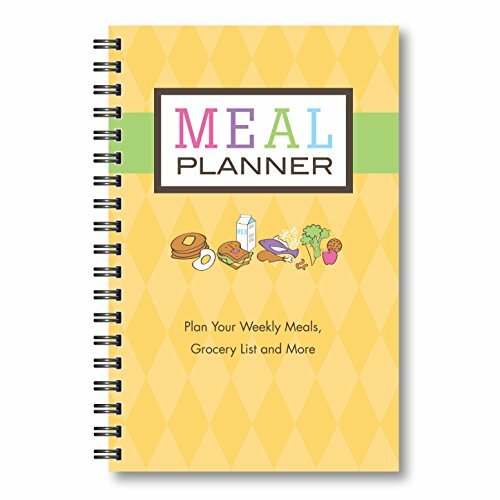 Some seasoned menu planners even plan an entire month’s worth by doing once a month shopping trips and just picking perishables like fruit and dairy when needed. Have you heard of once a month cooking? This is where you spend one day cooking a variety of meals that you divide up and put in the freezer. Buy planning ahead, shopping the sales and spending just one day a month cooking this way you will save both time and money. You can read more about once a month cooking here: Once a Month Meal Planning. You can plan three meals a day but I keep it simple. Around here we usually have cereal or oatmeal for breakfast, lunch is usually sandwiches and fruit. Peanut butter and jelly, egg salad and grilled cheese are all economical choices. Other times it might be leftovers. Either way, in our family we don’t stress much over breakfast and lunch but plan more variety for dinners. Snacks are usually cheese sticks, pretzels, raw fruits and veggies that are in season and baked goods. I know, you have heard this over and over, make a list. But I make my list a bit different than others do. Many grocery stores have their sales flyers online and give you the ability to create your list on their website to either print off or access from your smart phone. Wegmans offers this and I can make my entire list, along with prices before I even get to the store. Even items such as meat and produce, which have to be weighed are usually pretty accurate since Wegmans will estimate the weight of these items for you. It’s not exact but it’s pretty close so I never have to worry about trying to keep a total on a calculator or in my head while I am shopping. Here is how I do it; I make my list for Wegmans, making sure I stay right around my goal of $75 for the week. As I make my list I look for the best prices, sales etc. and add items to my list. 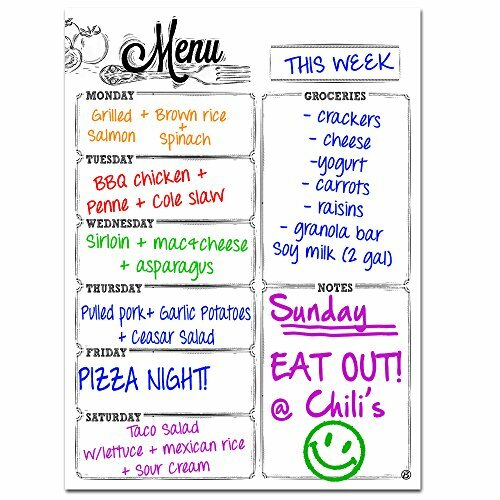 If my list goes way over I know that I need to adjust my menu plan. If it’s just a little over that’s okay because in step 5 I am going to save even more money. If your store doesn’t offer this feature it’s okay. It is more convenient but before I knew about this feature I still had a fairly good idea what Wegmans food prices, toiletries, etc. were because I shop there frequently. One option that also works (although it takes a little time at the beginning) is keeping track of prices in a price book. This doesn’t have to be anything fancy. A spiral notebook or a three ring binder will do. The website Organized Home gives tips on creating a price book including a free template. This is where it gets fun. Do you have an Aldis or any other type of discount grocery store nearby? Take your grocery list that you made in step 4 and go to the discount chain first. As you shop you can compare prices and pick up anything that is cheaper from your list. At Aldi, I do really well with staples such as baking products, snacks, produce etc. (although I will admit I usually get my produce at Wegmans, they have really good produce). I usually buy my meat in bulk at Wegmans as well but sometimes it is even cheaper at Aldi depending on their sales that week. If you don’t have an Aldi or any other type of discount store that’s okay too. 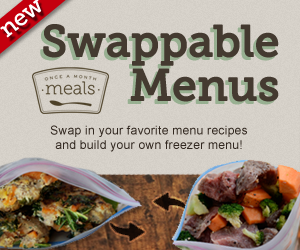 Just the fact that you are planning menus around sales is going to slash your grocery budget significantly. And if you have at least two grocery stores in your area you can take advantage by shopping only the sales at each one. Usually I can get everything cheaper at Aldi but sometimes Wegman’s is still the better buy depending on what the item is, whether it’s on sale or perhaps in bulk. That’s why it helps to have your list with prices. Chances are, you have a pretty good idea what the prices are for items that you frequently buy anyway. For example, I am not a fan of generic mayonnaise and I know that at Wegmans, Hellmann’s mayo is $3.99 when not on sale. When I see it on sale at my local Top’s (a store I shop at on occasion) for $2.50 I stock up because I generally don’t see it that low at Wegmans, even when it is on sale. Whenever I make my Wegmans list I have an idea what I will most likely get at Aldi instead. 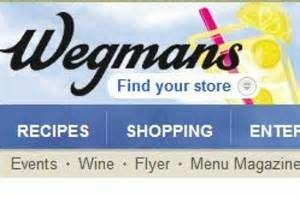 I will probably get anything I want in bulk at Wegman’s but will get a lot of staple items as well as some meat and maybe some of my produce there if it looks good. I estimate that I will save around 15% going to Aldis first. Sometimes I save more and sometimes I save less but over a year’s time those grocery savings really add up! And think of it this way, if you can save even $40 a month on groceries just by going to more than one store, you can use that money somewhere else, like paying off debt, or putting in savings. And all because you took the time to plan! Now let’s take it a step further. I may be saving around 15% by going to Aldi but look at all the other steps! Overall I have personally slashed our grocery budget by over 50%. That’s over $300 a month! And I am saving even more than that because better meal planning means eating out less! The reason I say slowly is because if you are struggling with a tight budget it is hard to go out and buy everything at once in bulk. If you can that’s great, but if not, slowly start replacing the items that you run out of in bulk if when you can. For example, in the past when we were short on money I would grab a few rolls of toilet paper for .99 each. Buying in bulk costs more up front but it comes out to just .59 a roll! Who doesn’t like saving 40%? I find it easy to keep to my $75 a week budget by just picking up one or two things a week in bulk as I start to run low. Buying perishables like meat and cheese in bulk can save you as well. I buy club packs of meat and cheese, bring them home and divide into family portions and freeze. I have an extra freezer but if you don’t at least consider buying items that you use a lot of in bulk. For example, if you eat a lot of boneless skinless chicken breasts you could divide them up in freezer bags. What I do is wrap meal size portions in saran wrap then place them all in one big freezer bag. That way I can take out just enough chicken for one meal at a time. A Food Saver (shown on the left) which will vacuum seal your food, is also something to consider down the road because it really does make the food last longer and it takes up less room for storage. It is an investment though, and you also have the cost of the bags to consider, but many say that it will pay for itself rather quickly. Another idea is to buy in bulk and split the cost with family and friends. I do this a lot when I go to Sam’s club and buy fresh fruit. We never seem to eat it fast enough so I split the cost with a family member. I don’t buy everything in bulk. Just those items that we use a lot of. It’s also necessary to compare prices because sometimes you still save more money by shopping around the sales, whether in bulk or not. Trust me, after a while you will have a well stocked freezer and pantry. And not only will you be shopping less, you will get in the habit of only replenishing when on sale! This may seem like a lot of work and it might not be possible to do it exactly this way depending on where you live and what stores you have. But if you can plan your list around different stores then you can really save a lot of money on groceries. And what if these stores aren’t near each other? You can plan those trips when you are in that area. For example, Aldi and Wegmans are close to each other so I do those the same day. Sam’s club is in a different town so I usually plan a once a month trip there. When I shop at Sam’s Club I usually spend more than $75 so I usually adjust my grocery budget and spend less the week before and the week after. If this still seems like a lot of work then consider this, I am finding that by being more efficient in my planning and sticking to my list I get in and out of the store really fast. And of course it is worth mentioning again that sticking to your list is a must!